Join us for a one-day workshop focused on the fundamentals of the Child in Need of Care practice. This program is designed for a multi-disciplinary audience. Faculty members will discuss the constitutional, federal and state law underlying child welfare cases. Attendees will explore these legal principles, as well as the concepts of timely permanency for families, reasonable efforts both to prevent removal and to further the permanency goal, child development, the impact of trauma on child behavior, and the roles and responsibilities of the various parties to a child welfare case. The roles and responsibilities session will include a focus on ethics – namely, the guiding ethical rules and regulations for the different professional roles. The training will incorporate adult learning theory, incorporating lecture, small group discussion and interactive practice. Child Welfare Law Specialist applicants will enjoy this refresher course prior to sitting for the examination. Approved for 6.5 CLEs including 1.0 hours of ethics and 1 hour for professionalism as approved by the Louisiana Supreme Court's MCLE Committee. 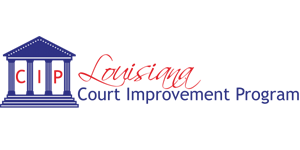 This program was approved - for 6.5 general CEU contact hours of continuing education units by the National Association of Social Workers - Louisiana Chapter as authorized by the Louisiana State Board of Social Work Examiners. CLE/CEU credit will only be issued for time attended.